There's been quite abit of coverage on the Rosemount Australian Fashion Week going around this past week. Wouldn't say I've seen alot of the collections yet, just bits and pieces here and there. 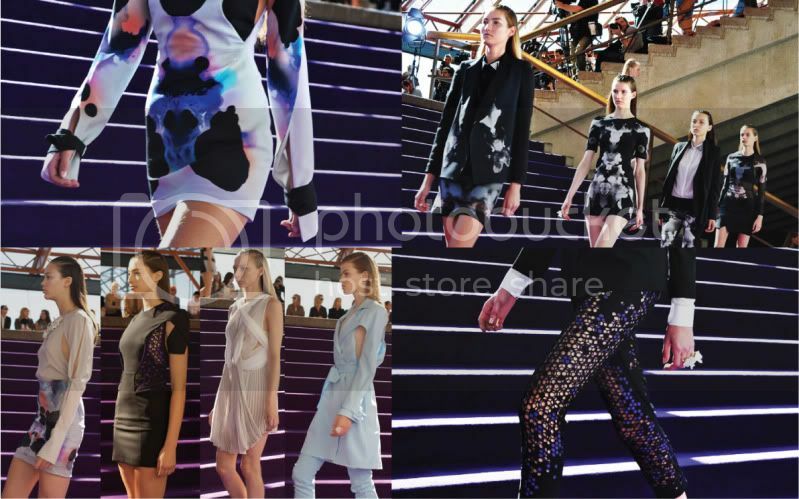 I believe I first read about Dion Lee, an emerging Australian talent from one of the Australian blogs (which I unfortunately can't remember which) just last month or a couple months back. Presenting his Spring/Summer 2011 collection at the RAFW, Dion Lee definitely prove he's the one to watch considering the rave reviews he received and also the high circulation rate of his runway images among blogs (very good sign!). Love the ink blot prints and the honeycomb laser-cut leggings. The intricate weaving and braiding of pleated fabric, really really beautiful. This was actually what caught my eye when I first saw images of the collection. 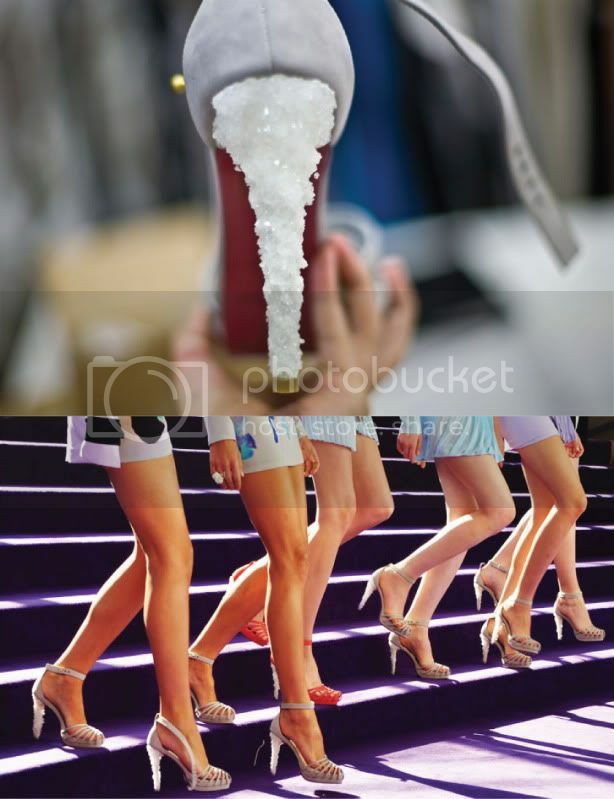 I mean, crystal heels?? So darn amazing! And they are homegrown!! How do you grow crystals? I would love to know how. Check out Dion's website for more of his past collections. put a little rock or something in chemical solution meant for crystal growing.. then it will gather and grow into larger crystals..